If you don’t contribute to an employer-sponsored account, like a SIMPLE IRA, SEP IRA, or a qualified plan, the money that you will contribute to your Traditional IRA is tax deductible. On the other hand, if you contribute to any of these retirement accounts, you will be deemed as active participant, thus the deductibility of your contributions will be dependent to your MAGI or modified adjusted gross income, as well as your tax-filing status. If you are awarded by a non-deductible Traditional IRA, you may still be allowed to make a non-deductible contribution to it. You should bear in mind that there is no current Roth IRA tax deduction since your contribution is going into the account already taxed based on your marginal tax rate, and will not incur tax upon a Roth IRA withdrawal. Then again, you can make contributions to a Roth IRA, as long as your MAGI meets the Roth plan eligibility requirements. If you are single you can accomplish full contribution to a Roth plan if your MAGI is $101,000 or less, partial contribution if your MAGI is $101,000 to $116,000, and you’re proscribed from making contribution if your MAGI exceeds $116,000. If you are married and filing jointly, your MAGI should be not more than $159,000 to make full contribution, between $159,000 and $169,000 to be eligible for partial contribution, and you will not be permitted to contribute to a Roth if you have MAGI of more than $169,000. If you are married but filing separately, your modified adjusted gross income must be between $0 and $10,000 to be qualified for partial contribution. MAGI of $10,000 or more will prevent you from contributing to an IRA. Should you settle on making a non-deductible contribution to your retirement account, make sure to file IRS Form 8606 that will assists you as well as the IRS to trace the non-taxable balance in your Traditional IRA. This will also make certain that you don’t recompense IRA taxes on withdrawals that are tax-free. If you are allowed for partial deduction on your Traditional IRA, instead of placing the nondeductible amount with tax-deferred earnings, you can place the money to your Roth account where you will receive tax-free earnings growth. If you are qualified for partial contribution to a Roth IRA, you can make the most out of your contribution for such tax year by contributing the difference to your Traditional Individual Retirement Account. Remember that your collective contribution to your Traditional and Roth account must not go beyond the set contribution limit. For 2010, full contribution is $6,000, which includes the $1,000 catch-up contribution for original account owners who are 50 years and older. Based on the IRA tax rules, you may be qualified for a non-refundable tax credit that can amount to 50% of your IRA contribution, but not more than $1,000, based on your tax-filing status and your adjusted gross income. This benefit is permissible in addition to any deduction your may get for making IRA contributions. To be able to receive the non-refundable tax credit, you are required to file IRS form 8880. 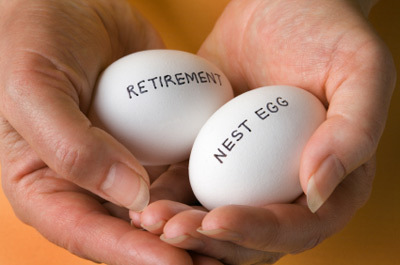 Choosing between Traditional vs Roth IRA is not a complicated process. The segment that should be taken with utmost consideration is the right timing to obtain the income tax benefit. You should keep in mind that the tax benefit significantly influences the IRA interest rates. As the profits in your Traditional IRA compound on a tax-deferred basis with an IRA tax deduction, and for Roth IRA rates on a tax-free basis, you are given several reasons why you should contribute to an Individual Retirement Account. Though, it is always beneficial to talk with your financial advisor initially to distinguish if your retirement savings should be housed in other vehicles.